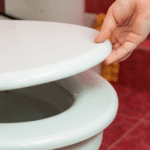 If you have a small bathroom and your current toilet is consuming most of the space, then you should consider replacing it with a corner toilet. As the name suggests, a corner toilet is designed to fit on a corner, which means that it occupies space on one side, leaving more room to make your bathroom more workable. That said, there is a wide variety of corner toilets that are available in the market and this article looks at 5 of the best ones so that you get to understand what they are all about. 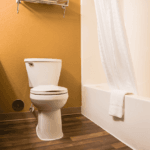 At the end of it all, you should be able to pick the best corner toilet for your home or office bathroom. Now that you are in the shopping mode, below are some of the best units in the market. Go through the features and pick the one that suits your needs the most. American Standard is well-known for making high-quality toilets and this one does not disappoint. For starters, the toilet features an oversized 3-inch flush valve, which is mostly used in modern toilets because it releases water with a lot of pressure so as to push everything in the bowl down. In actual numbers, each flush pushes out 1.6 gallons of water, which is capable of pushing 1000 grams of waste. Additionally, this valve is fitted with a chemical resistant flapper, which makes it very durable so as to maintain a watertight seal that prevents leaks for a very long time. In terms of design, this cadet 3 is a two-piece toilet, having a round toilet bowl and a separate triangular shaped tank that is made to fit perfectly on a 90-degree corner in your bathroom. Construction wise, the toilet is made using vitreous china, which is durable and very easy to clean. On top of this, it is coated with an ever-clean antimicrobial surface, making it much easier to maintain. Other features include a 12-inch rough-in, a right-height for comfortable seating and its availability in 3 colors, which are white, bone and linen. On the downside, it does not come with a toilet seat, so this must be bought separately. Two-piece toilet, with a round toilet bowl and a separate triangular tank. Vitreous china construction with an ever-clean antimicrobial surface. Available in 3 colors (white, bone and linen). This Renovator’s Supply’s corner toilet is a very stylish unit, having a widened, step-like design near the base, which makes it very stable. In addition to looking good, this toilet is also very water-efficient because it has a dual flushing system, consisting of 2 chrome push buttons. One of them gives a light flush of 0.8 gallons, while the other gives a strong 1.6 gallons per flush. This mechanism has the potential to save up to 25000 gallons of water per year, and this will help you drastically reduce your water bills if used correctly. 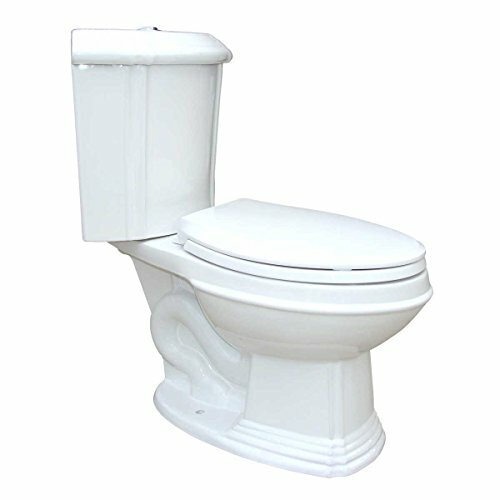 Construction wise, the toilet is made using grade A vitreous china with a polished white ceramic, Reno gloss finish that is scratch and stain resistant, making the toilet very durable. 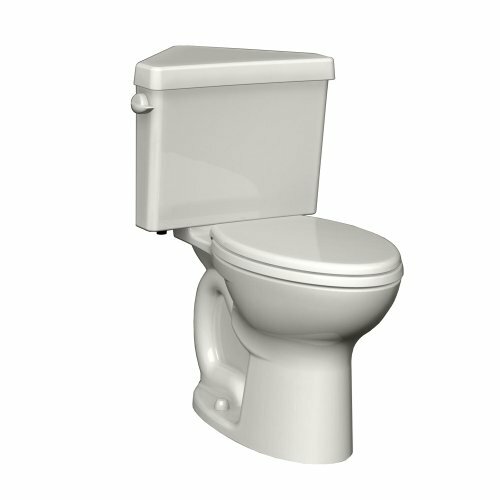 In terms of height, this unit has a toilet seat height of 16 inches, which is a right height size. This height makes it relatively comfortable for the majority of people. On design, the product has a two-piece structure that consists of an elongated seat and a quarter circle shaped tank, in which the 90 side is meant to fit along the corner of your bathroom. Other features include a 12-inch rough in, a 2-inch flush valve and a soft close toilet seat. However, it does not come with floor bolts or bolt covers and thus, these must be bought separately before installation. Widened, step-like design near the base for stability. Dual flushing system (0.8 and 1.6 gallons per flush). Constructed using grade A vitreous china, with a polished white ceramic, Reno gloss finish, making it scratch and stain resistant. Toilet seat height of 16 inches. 2-piece design, with an elongated seat and a quarter-circle-shaped tank. Kohler’s K-6299-0 is a very expensive toilet, but it incorporates the use of a very compact space-saving design that will certainly fit in a small bathroom and leave you with a lot of space to spare. The unit has a one-piece design, which is only the wall hung toilet bowl. The tank is built into the wall and thus, it remains hidden and saves on the space that it would otherwise occupy as it protrudes outwards from the wall. Although the bowl has an elongated shape, it is very compact and occupies the same space as a round toilet bowl. This means you get the comfort associated with elongated seats while also saving on much more space. Its wall-hung design makes it much easier to maintain the toilet because there is a much smaller surface area to clean, while the floor beneath is left clear for quick and easy cleaning of the entire bathroom floor. In terms of height, the durable steel brackets hidden inside the wall give you a lot of installation flexibility because they allow you to fit the bowl to any height between 15 3/8 to 28 1/2 inches above the bathroom floor. This enables you to adjust it to your most suitable height. Compact, one-piece design, with a hidden, in-wall tank. Elongated toilet bowl for comfort. Adjustable installation height (between 15 3/8 to 28 1/2 inches above the bathroom floor). Efficient dual flushing system (0.8 and 1.6 gallons per flush). Comes with a soft close seat. Available in white, black, almond, dune and biscuit colors. American Standard’s 270AD001.020 is very similar to the 270BD001.020, having a 2-piece design. However, this one is more comfortable due to its elongated bowl, but it has the same triangular shaped tank that is designed to fit on a 90 corner in your bathroom. Structurally, the unit has a vitreous china construction, which a very durable material, and is very easy to clean. Additionally, it is coated with a microbial surface for better hygiene and much easier cleaning. Inside the tank, an oversized 3-inch flush valve is used for flushing while a durable, chemical resistant flapper ensures that there are no leaks for a long period of time. This setup ensures that a powerful flush of 1.6 gallons of water is released once you turn the trip lever. Other features include a 16.5-inch bowl height (right height), a 12-inch rough-in, a color matched trip lever and its availability in white, linen and bone colors. On the downside, the unit does not come with a toilet seat and thus, you must buy it separately. Two-piece design, with an elongated bowl and a triangular-shaped tank. Antimicrobial surface for easy cleaning. Oversized 3-inch flush valve along with a chemical resistant flapper. Right height bowl with a 12-inch rough-in. American Standard’s Titan Pro is a WaterSense certified corner toilet, which means that it is very water efficient, flushing out 1.28 gallons of water every time you turn the trip lever. 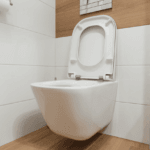 In terms of design, the unit is a two-piece toilet, featuring a comfortable, elongated, siphon-action toilet bowl and a triangular-shaped tank that is made to fit snugly on the corner of your bathroom. Inside this tank is an oversized 3-inch flush valve, which releases water with a lot of force to create a powerful flush that pushes waste very quickly. 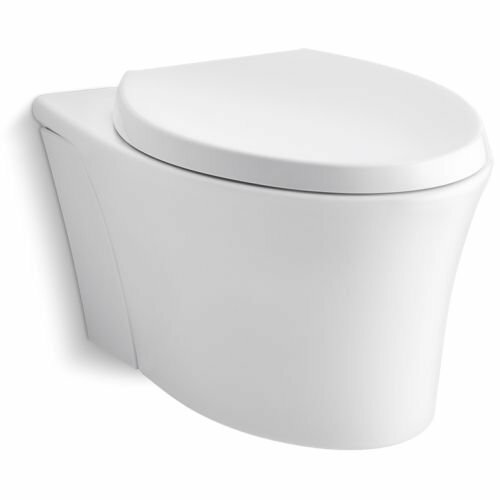 Structurally, the toilet is made out of vitreous china, which is a strong, durable and easy-to-clean material. Other features include a right height size for comfortable seating, a color-matched trip lever, an extended footprint for easy remodeling. WaterSense certified (releases 1.28 gallons of water per flush). 2-piece design, with an elongated bowl and a triangular-shaped tank. An extended footprint for easy remodeling. A toilet’s construction is the first thing that you should check because it determines its durability and ease of maintenance. The most commonly used material is vitreous china, which is another name for porcelain, but some toilets are made of ceramic. Generally, vitreous china is better off than ceramic because it is harder and this makes it more resistant to scratches and other bathroom mishaps. Additionally, the material is also better at resisting stains and spills, making it easier to clean. 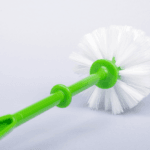 However, when it comes to cleaning, most toilets, including ceramic ones, usually have easy-to-clean coatings, such as antimicrobial surfaces, and this makes them easier to maintain, regardless of the underlying material that they are made of. Color is also an important factor to consider because, even though it does not affect the toilet’s performance, it is important to match it to your bathroom’s interior décor. White is a very universal color when it comes to toilet colors, but you may find that a black one is better because it matches your darker tiles. Therefore, you should look for a color that closely resembles your bathroom’s interior, just to make it a bit more interesting. Corner toilets and all toilets, in general, are available in two shapes: round or elongated. Elongated toilets are usually very comfortable to sit on, but their long, oval-shaped design consumes more space. On the other hand, round toilets are very space efficient, but they may not be as comfortable as elongated toilets. Therefore, the choice between these two should be informed by the amount of space that you have in your bathroom. If it is too squeezed, then you should go for the round toilet. If you have some extra space to fit in an elongated bowl, the better. However, there is a third option when it comes to space saving. Although expensive, veil toilets occupy very little space due to their hidden tanks. If you have the money, you can consider getting such a product. 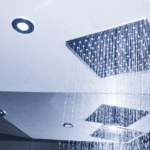 Water efficiency is a key factor to put into consideration. While most toilets push out 1.6 gallons of water per flush, some newer units release only 1.28 gallons, which translates to a lot of reduced water wastage as well as reduced water bills. The most efficient toilets, however, are the ones that feature dual flushing systems, in which the light flush releases 0.8 GPF while the heavy one puts out 1.6 GPH. If you want to reduce water wastage, this is the best type of toilet to consider. Accessories are always good to have and in the case of toilets, its seat is the most common one to be included in the package. However, some units do not come with this accessory and thus, you have to buy it separately. Therefore, if it does not come with its seat, factor in the price of that additional seat, then compare the total cost, with the product that comes with its own seat, if your goal is to save some money. A corner toilet is a must have if you want to get a little bit more room in your crowded toilet. The only problem is that getting a good one might be challenging if you do not know what to look for. However, after going through this article, you should be in a better position to pick the best corner toilet that fits perfectly in your bathroom.